Me and Ethan popped to the park this afternoon in search of a dog. We bumped into gorgeous Tobias from Day 286, he was very excited! We walked a little further on and we spotted a lady walking 3 gorgeous dogs so I asked if one of them could be my dog of the day. We decided to make Roxy my dog of the day. 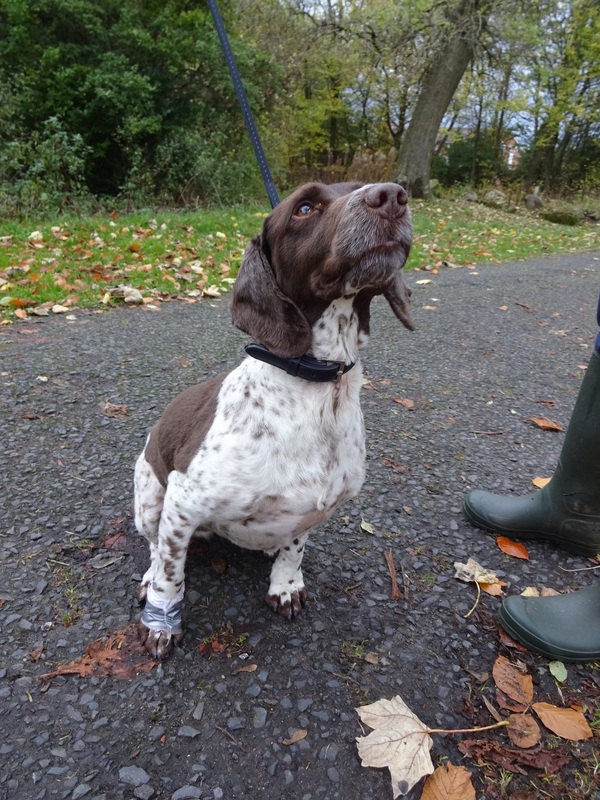 Roxy is a beautiful Springer Spaniel, she’s very friendly! Roxy get’s on well with the two other dogs she lives with, another Springer Spaniel called Jasper and Shep a Border Collie. Favourite food: Meat chunks and biscuits! 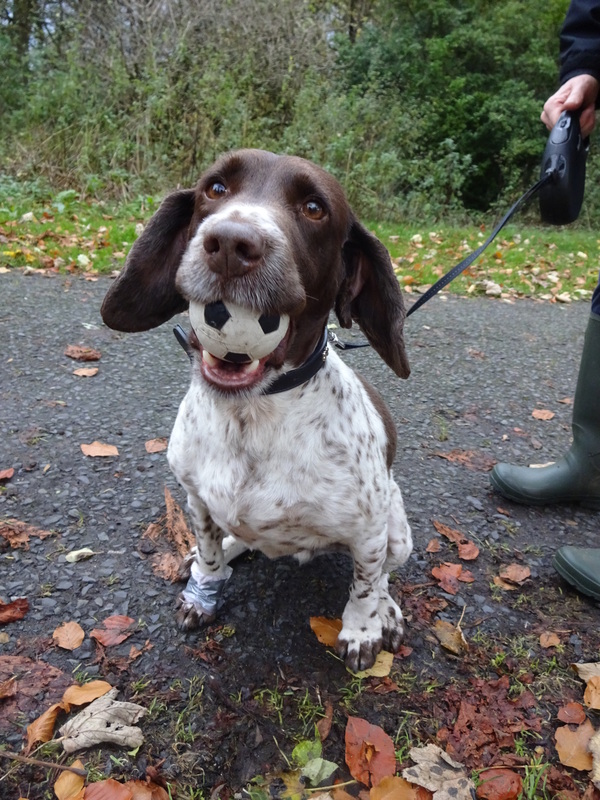 Favourite pastime: Going for walks, going in the river and chasing balls!